Mega Sale! 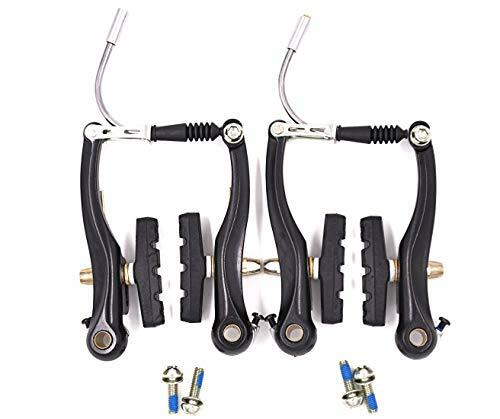 Save 22% on the Bike Brakes Mountain Bike V Brakes Set Replacement Fit for Most Bicycle, Road Bike, MTB, BMX (Aluminum Alloy, 1 Pair) by Wake at Joes V Cycle. MPN: Wake. Hurry! Limited time offer. Offer valid only while supplies last. Feature: V-Type Brake Material: Aluminum alloy and Plastic Arch Size: 110mm Brake Pads Size: 55mm Scope of application: V type brake of bicycle.